Washington’s halibut season is just a few weeks away, and begins on May 8th on the inner waters. Yesterday, Friday March 13th I went salmon fishing on Eastern Bank for salmon. 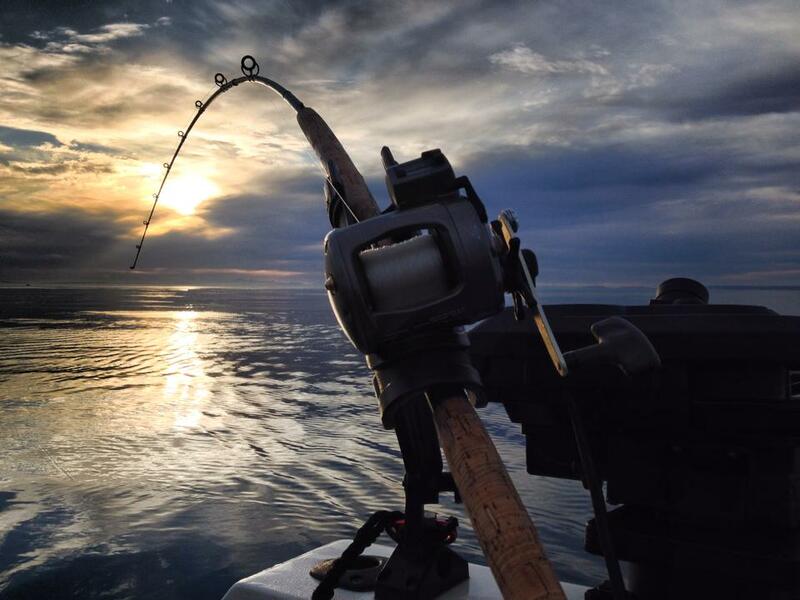 Eastern Bank sits in the middle of the Strait of Juan de Fuca, and offers anglers one of the best areas to catch salmon and halibut. The bank’s sandy bottom attracts massive schools of candlefish as well as herring and other bait fish. 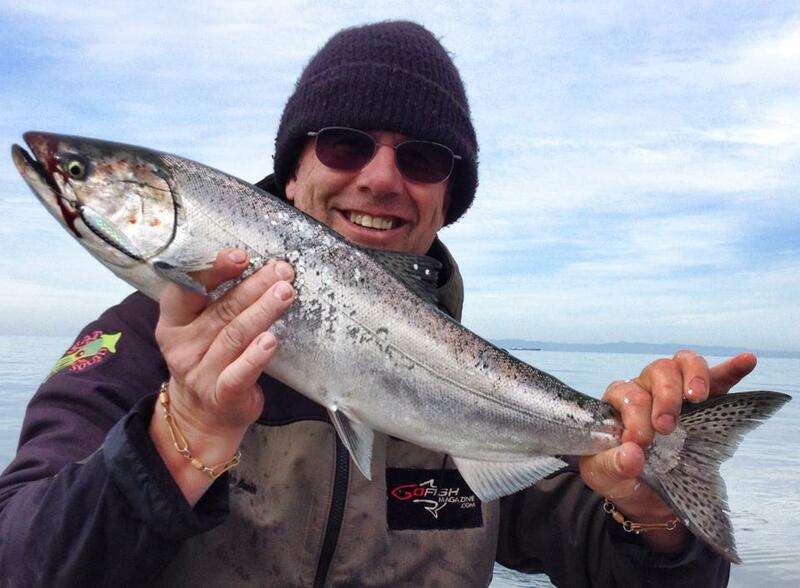 Several good salmon fishing reports from Eastern Bank combined with calm seas made this a good choice to try. Upon arriving at the bank, we got our first line in the water, a chrome dodger with a Silver Horde #2 green spatterback Kingfisher spoon on a 40-inch leader. The first salmon hit before getting the second rod in the water. 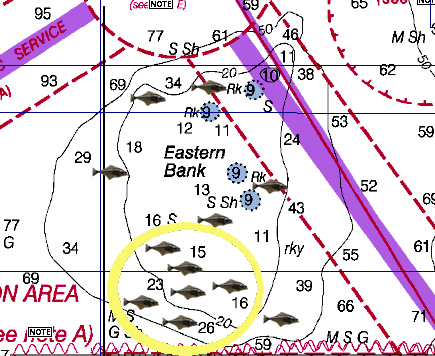 The area showed small schools of candlefish hovering on bottom as well as a few salmon working the bottom. 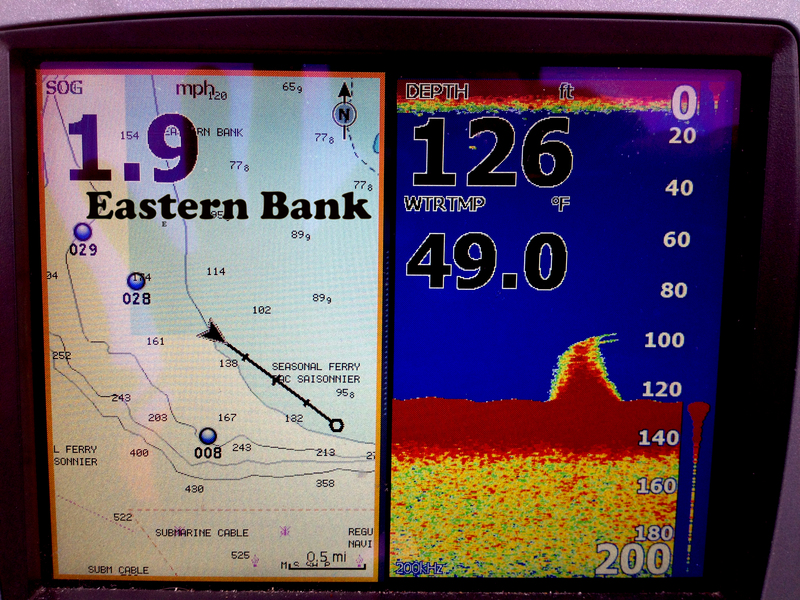 I’ve fished Eastern Bank many times over the past few years and have always preferred fishing the southwest corner. This area attracts bait, salmon and halibut on incoming and outgoing tides. By 10:20 a.m. we had landed 10 salmon, of which only one was a hatchery keeper that measured 28 inches long. Right at 10:30, my rod that had my favorite old F4 Piscator flasher with a #2 cop car Kingfisher spoon jerked violently from the downrigger release. As soon as I grabbed the rod the fish thrashed its head, a clear indication a halibut grabbed my small spoon. 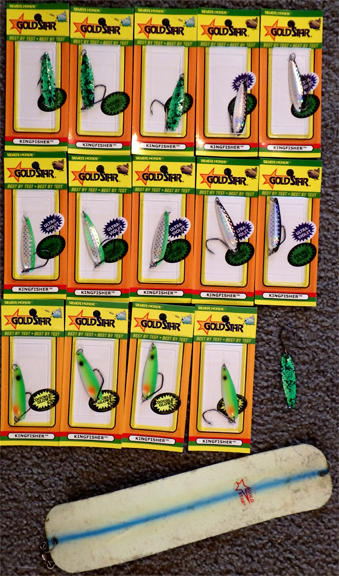 No surprise there because my gear hovered within five feet off bottom, where candlefish and salmon were most active. This nice sized 40-pound halibut grabbed a #2 cop car Kingfisher spoon. Fighting halibut on salmon gear, especially “Canadian style” knuckle buster reels can be a vigorous challenge. As you can imagine, the halibut fought hard all the way to the top, then flattened out on the surface, where I tried to remove the barbless hook from it’s jaw. 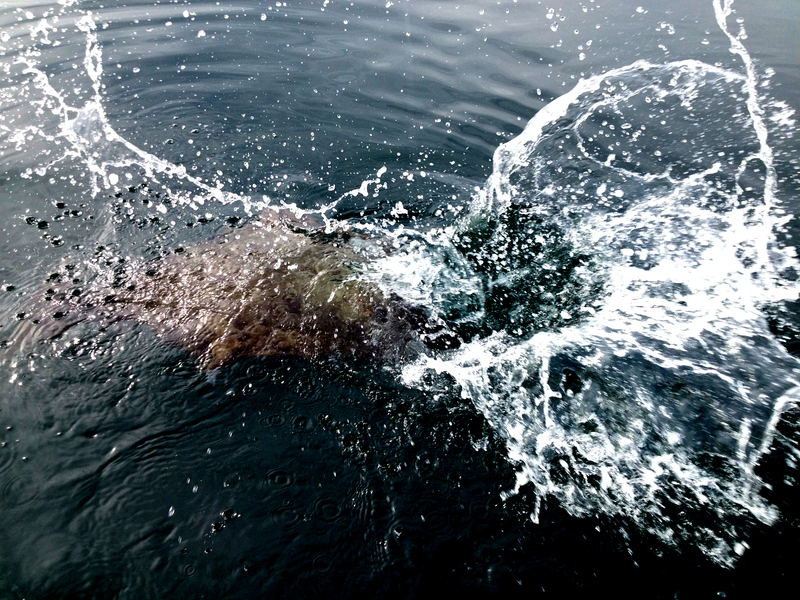 This halibut went crazy on the surface and gave me a saltwater shower. The 40 pound halibut wanted no part of me reaching toward its mouth and gave me a saltwater shower as it headed back to the depths. After the halibut going to the bottom twice, it finally tired enough for me to grab its tail and remove the hook before sending it on its way. In past years I’ve caught halibut in Canada on my birthday, March 23rd, but never earlier than that date. This is a good sign for our upcoming halibut season. Here’s where I target winter blackmouth on Eastern Bank during high and low tides. All totaled, our Friday the 13th fishing trip to Eastern Bank provided us with 13 salmon to the boat, two of which had missing adipose fins and measured well over the 22-inch minimum size limit. We also lost a nice sized salmon and released the nice sized halibut. When we first arrived at the bank the tidal flow was weak and incoming. Our best action happened during the incoming right through slack tide. When the tide turned and flowed out we stayed in the same area and continued to catch salmon, including one of the keepers. Whether fishing for salmon or halibut, Eastern Bank can provide excellent fishing on the southwest side. 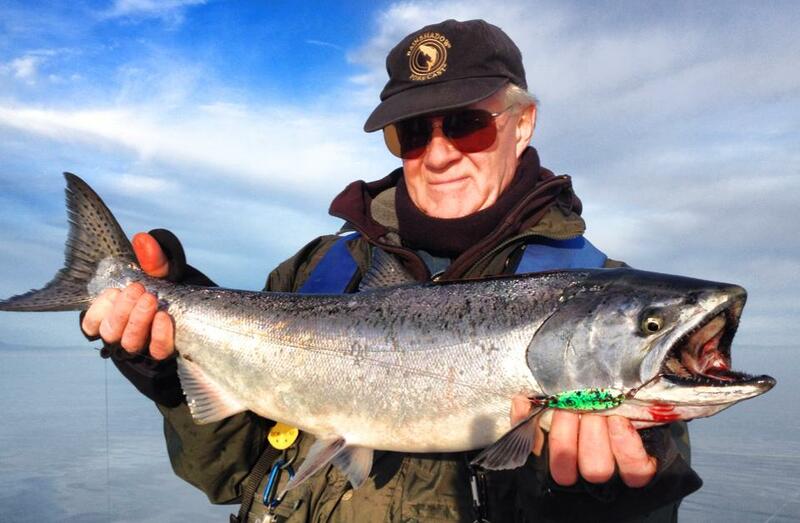 When salmon are feeding on small candlefish Silver Horde #2 Kingfisher spoons work great when trolled on 40-inch leaders behind dodgers or flashers. I watch for calm days of 5 knots of wind or less to fish Eastern Bank. 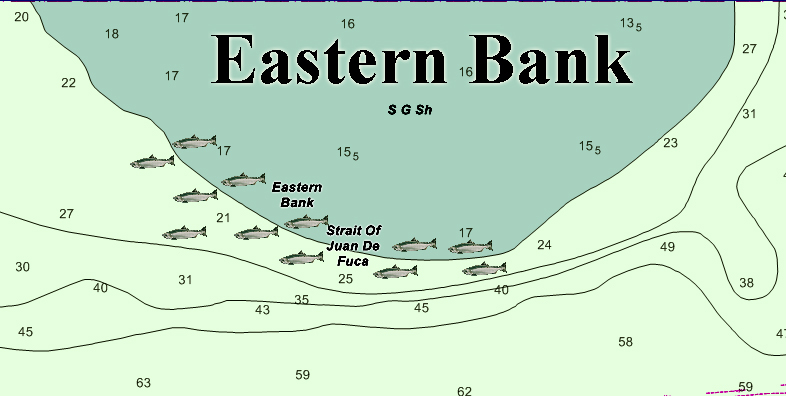 Since Eastern Bank sits in the middle of the Strait of Juan de Fuca, extreme caution should be used when planning your trip to Eastern Bank. As you can see, Friday the 13th was a flat day here. This entry was posted in Halibut Fishing Photos, Halibut Fishing Tackle, Halibut Fishing Tips, Halibut Fishing Videos, Puget Sound Halibut Fishing, Washington Halibut Fishing, Washington Halibut Maps and tagged Catching Halibut on Spoons, Eastern Bank Halibut Fishing, Eastern Bank Halibut Fishing Map, Halibut Fishing, Halibut Fishing Videos, how to catch halibut, Puget Sound Halibut Fishing Maps, Silver Horde Spoons, Strait of Juan de Fuca halibut fishing maps, Trolling for halibut, Washington Halibut Fishing, Washington Halibut Fishing Maps. Bookmark the permalink.